If the Shield 2 ends up being a tablet, expect a detached controller to pop up as well. If recent test filings are to be believed, the next Nvidia Shield device is not going to have a built-in controller. Instead, evidence points to a tablet form factor, and the Shield Tablet (working title) will hopefully appeal to a broader audience. What's pointing to the tablet form factor? The GCF (Global Certification Forum), an FCC-like European group that certifies electronic devices, has a page for a Shield Tablet made by the Nvidia Corporation. This latest leak, coupled with this screenshot from last month, is strong evidence that the Shield name is being stamped on a high-powered Android tablet. The new Shield device will likely be powered by Nvidia's Tegra K1 chip, if this Nvidia tablet benchmark from May is any indication. I really like the Nvidia Shield, but it's built-in controller is both a blessing and a curse. The controller is relatively comfortable, and it's a joy to use when playing Half-Life 2, Portal, Jet Set Radio, Crazy Taxi, and all those emulators I may or may not have installed. But the gamepad's inclusion also puts the Shield in a category of its own. It's a device to be purchased alongside a tablet, which makes it a more expensive proposition that it's $199.99 pricetag suggests. 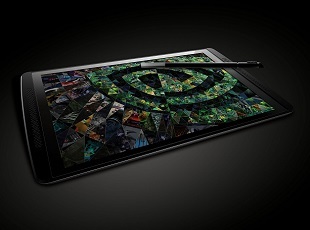 If the next Shield device is a tablet with an optional, detached controller, Nvidia potentially has a much larger customer pool to draw sales from. It's also entirely possible that Nvidia could release two different products: A Shield Tablet, and a proper, controller-packing Shield 2 device.